FHA Home Loan California | JB Mortgage Capital, Inc. Here is a comprehensive guide to understanding the FHA home loan program in California. JB Mortgage Capital, Inc. provides low rate FHA home loans throughout the State of California. Our client first approach to the FHA loan process means we’ll listen first then find solutions to meet your home loan needs. The benefits of obtaining a FHA home loan in California are numerous and we’re here to give you all the inside information you need to get the best possible terms on your next FHA transaction. Below you’ll see the list of topics we cover in this article; if you should have any questions about how the FHA program might work for you please do not hesitate to ask. You can either contact us directly at 1-800-550-5538 or through the website. What Is A FHA Loan: Knowing the important basics of what a FHA loan is will help provide for a better experience and ultimately it may save you money. We cover all the important items you need to know and explain why they’re important to you. What It Can Be Used For: Not every property and every situation qualifies for a FHA loan. Here we’ll discuss what a FHA loan can be used for and how to best utilize it’s features to save you money on your next transaction. FHA Qualifications: The good news is that FHA home loans are generally easier to qualify for then conventional programs; that being said there are some guidelines that need to be followed and we discuss those qualifications. 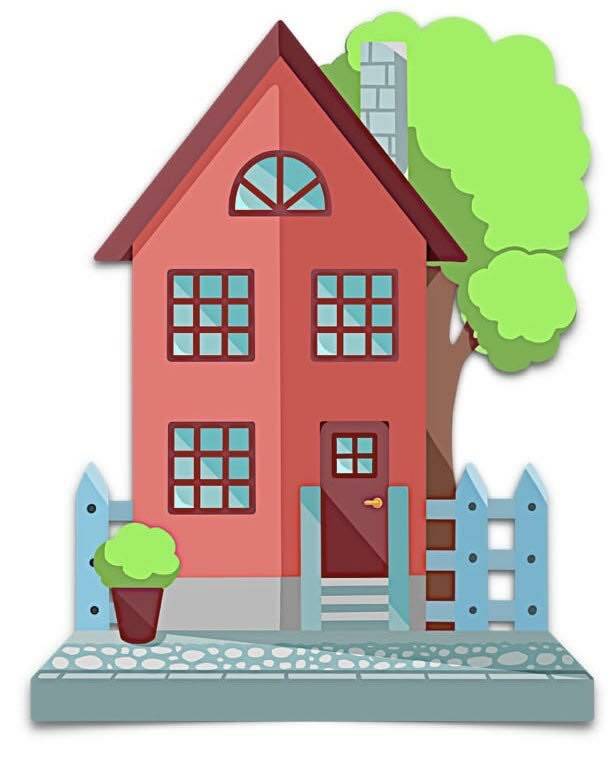 Property Requirements For FHA: Yes; FHA has property requirements – not all properties qualify. For one you can’t use an FHA loan to buy a commercial property. And there are other requirements as well. Minimum Down Payment: This is one of the great features of doing a FHA loan; with an FHA loan you can put down a very small down payment rather than the typical 20% that other loan programs require. Money Saving Pro-Tips: Saving our clients money is an important part of what we do at JB Mortgage Capital, Inc. In this section we’ll share with you some ideas that could save you thousands of dollars on your next FHA transaction. FHA Home Loan Rates: This is where we’ll cover FHA home loan rates and how to better understand not only the interest rate that is quoted but more importantly the APR. Mortgage Insurance Explained: FHA Mortgage Insurance is not homeowners insurance. We’ll explain what FHA Mortgage Insurance (MI) is, how much it costs and who pays for it. FHA Mortgage Insurance Removal: Everyone who has a FHA loan needs to know how to remove FHA mortgage insurance. Not knowing could cost you thousands of dollars. Home Repair Program With FHA: Another great feature is their specialized program for home repairs. This is not just in California but nationwide and many homeowners take advantage of it’s unique benefits. Home Loan Limits: In California (and nationwide) there are limits to the loan amount you can have with FHA. The limits in California are higher then some other states, due to our higher home values, which is a nice added bonus. FHA Streamlined Loan For Refinances: If you already have an FHA loan you’ll love the FHA Streamline Refinance program – it saves lots of time and money! Working With JB Mortgage Capital, Inc.: We’re here to earn your business; this is where we’ll share all the benefits of working with us on your next FHA transaction. FHA Historical Facts: Additional historical facts about the FHA program. As mentioned above; please do not hesitate to ask a question if one should arise. We’re happy to take the time to make sure you fully understand what it means to obtain a FHA home loan in California. JB Mortgage Capital, Inc. is 100% focused on the customer experience. From the initial application to closing you'll work directly with one person the entire time. This ensures for a better experience for the customer and a more efficient process. We cover all of California and offer FHA programs for both the purchase of a new home and the refinance of a current mortgage. Making sure we provide industry low FHA interest rates is a focal point at JB Mortgage Capital, Inc. We understand the importance of saving money and that's what we try to do each and every day. We've embraced the latest technology to help keep costs down and make our process more efficient. This helps keep our interest rates low and customers happy. 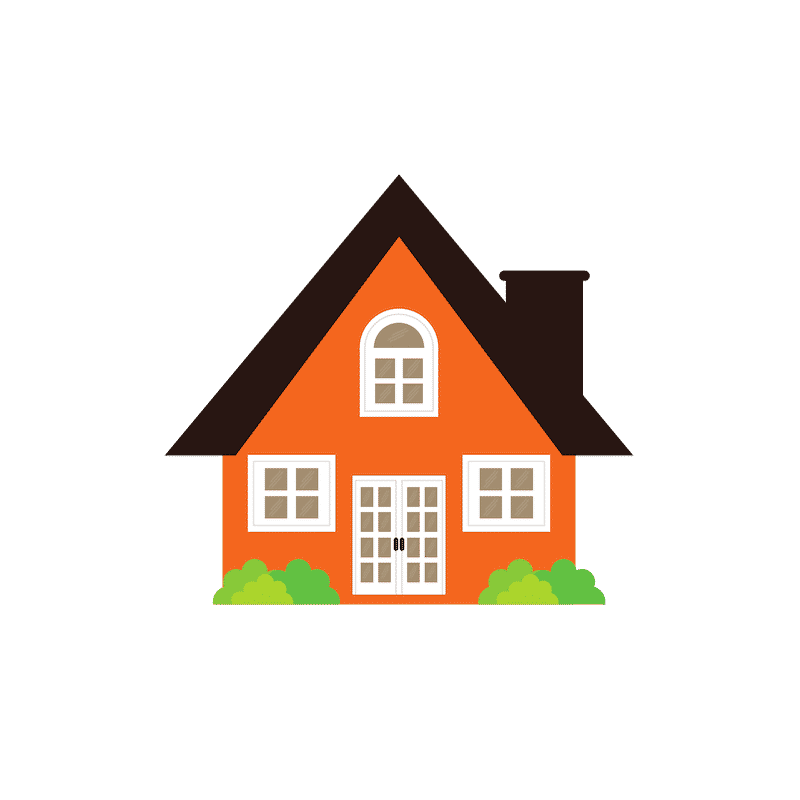 An FHA home loan is a residential mortgage that a borrower can use to either purchase a home or refinance a mortgage attached to a home they already own. 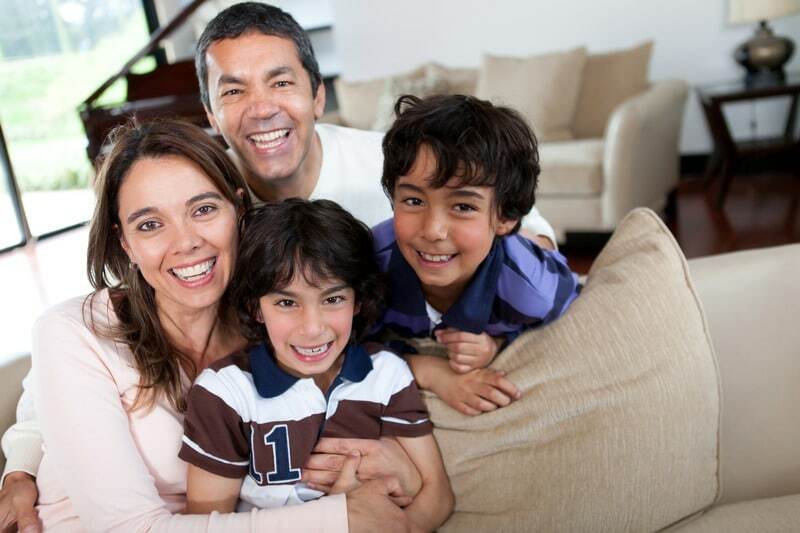 FHA programs are available in California and throughout the United States. The residential lending program is backed by the Federal Housing Administration (FHA) which is the distinct feature that separates it from other home lending programs available in California. If the borrower defaults the Federal Housing Administration will reimburse the mortgage lender for the losses associated with the default. The FHA does not make lend money directly to consumers; only banks and lenders provide funding under the FHA loan program. Banks and lenders that provide FHA loans avoid taking on the higher risk due to the FHA insuring the loan against default. This allows banks in California and nationwide to take more of a chance on borrowers who otherwise might not be able to get a home loan. The FHA loan program has been a big part of the California housing market for decades. The program can be used for purchasing or refinancing residential property in California and nationwide. A borrower can do a cash out refinance, a refinance to lower their interest rate or a refinance to reduce the loan term from a 30 year fixed to a 15 year fixed. It can be used to improve the property as well. This means you can use the home repair program to buy a home in California and receive extra money to help improve the home. The program can also be used for refinances as well (more about the program later on in the article). We offer more information on this below however the current (2019) FHA home loan limit in California is $314,827.00 and in high cost areas it is $726,525.00 In 2018 those levels were $294,515 and $679,650. FHA does not have a general credit score requirement like conforming loans however nearly all lenders in California have what’s called an “overlay” when it comes to credit scores and getting approved for an FHA loan. Before we get into that, in certain instances there are FHA credit score requirements when it comes to the amount you need for a down payment or if you’re doing a FHA streamline refinance (more on these topics later in the article). To be able to put 3.5% down on a purchase a borrower must have a 580 or higher credit score. If the credit score is 579 or below then the borrower must put down 10%. This is a standard requirement in California and nationwide. Most California lenders will go down to a 580 credit score; and some lenders in California will go below a 580 credit score on a case by case basis. 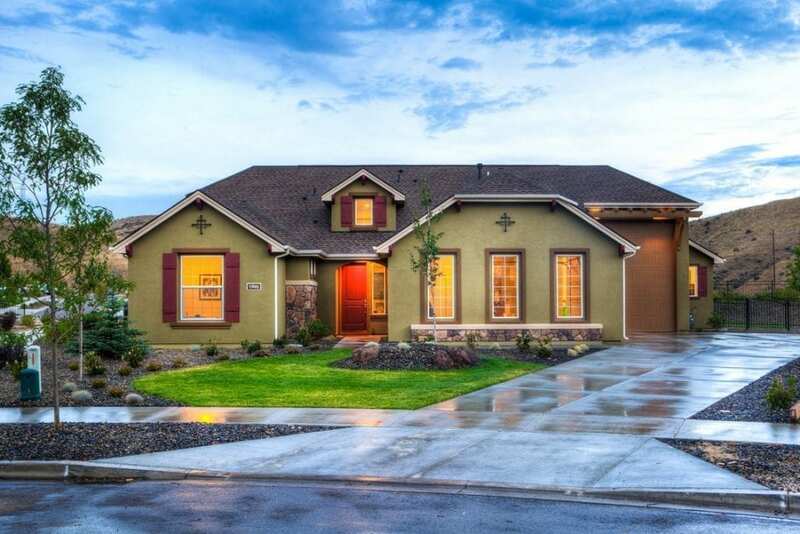 If you are considering the program to buy a home in California (or refinance a current loan) and you believe you have a credit score below 580 you’ll want to discuss this with the Loan Officer directly when you request a quote. And a general rule of thumb; being open with your Loan Officer allows for better advice, it could save you money and provide for a much smoother process. If you are a W-2 employee then you’ll want to gather your most recent two years of W2s and your two most recent paystubs. If you have rental property; or if you have a side business then you’ll want to gather the last two years of tax returns. If you are self employed you’ll want to gather the last two years of your most recent tax returns. One of the great features of doing a FHA home loan is the flexible income requirements associated with the program. The benefit of this is that it allows a homebuyer or a homeowner to qualify for a mortgage they normally would not qualify for under traditional programs. The “back end” debt-to-income ratio for FHA is 43% however you can obtain approvals for limits as high as 50%. What does “back-end” mean? That means your total debts (mortgage, cars, credit cards, student loans etc.) compared to your total gross income (W2) or your business net income (self employed). If you have a low credit score a a debt-to-income ratio above 40% the FHA program is ideal. With FHA home loans you have to include your spouses debts on the application; even if the spouse is not a listed borrower on the application. That is different from conforming programs where if your spouse is not on the application then the debts attached to the spouse are not considered when calculating debt-to-income ratios. What are impounds? When your mortgage payment is “impounded” that means your property tax payments and your homeowners insurance payments are included with your mortgage payment. Although it is a requirement it’s actually a nice thing to have so that you don’t have to pay a lump sum for your property taxes or your property insurance when they are do. When the mortgage payment is impounded the mortgage company will collect an amount each month from you so that they can make the lump sum payment when it’s due. If you previously owned a home and were foreclosed upon you’ll have to wait at least three years from the foreclosure date unless there were extenuating circumstances which you can prove. If that is the case the waiting period is less than three years. If you previously filed Bankruptcy you’ll have to wait two years (if it was a Chapter 7 Bankruptcy) before obtaining a FHA loan. If you filled a Chapter 13 Bankruptcy there is no waiting period after the Bankruptcy has been settled. And if you are currently in the middle of a Chapter 13 Bankruptcy you still may be able to do a FHA loan. Not all lenders in California allow this; many have an overlay when it comes to Bankruptcies. The FHA loan program only allows for residential property; land, commercial and industrial property are not allowed under the FHA residential loan guidelines. If you are buying a home in California or refinancing a home you currently own and you want to obtain a FHA loan the home needs to be your primary residence. It can not be a non-owner occupied property. But guess what; there is a way to buy a home with renters with an FHA loan – more on how to do this below. The FHA loan program requires at least a 3.5% down payment or 96.5% equity if your credit score is 580 or higher. If your credit score is 579 or below then a 10% down payment is required when buying a home in California or 90% equity when refinancing a home in California. If you are buying a home in California you’ll have to do an appraisal as part of the approval process. If you currently have a FHA home loan and want to refinance you may not have to do an appraisal (more on that below). As mentioned above FHA loans can only be used for owner occupied residential properties. 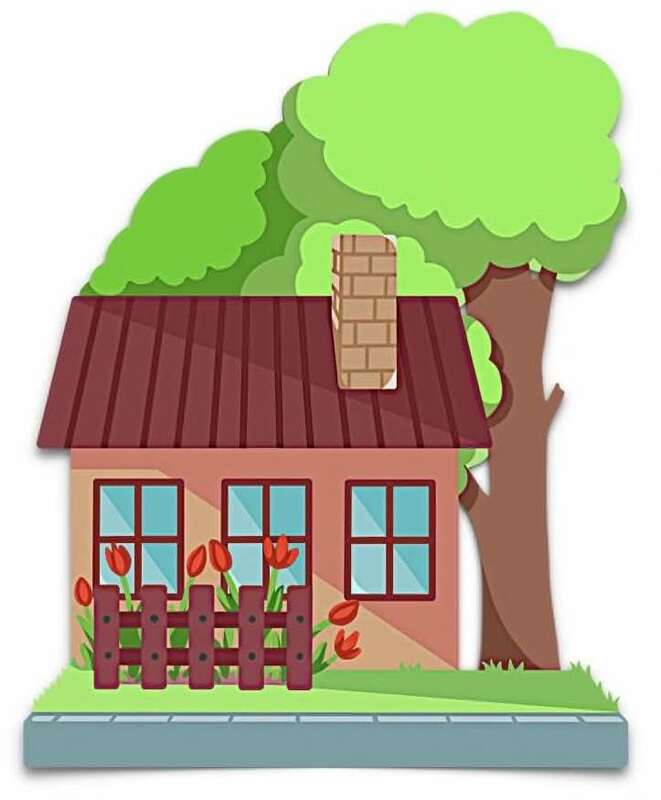 That includes the following types of properties; Single Family Residences, Condominiums, Townhomes and 2-4 unit properties (provided you live in one of the units). And remember I previously mentioned that you can buy a home with renters with a FHA loan? Well this is how you do it: buy a multi unit property and live in one of the units. So if you buy a 3-unit property, live in one of the units and have two rental units. Because you live their FHA still considers this an owner occupied property and so it’s eligible for FHA financing. This a great feature for homeowners in California where multi unit properties exist in large numbers. Ask questions, and lots of them! You may be thinking what kind of “pro-tip” is this but you would be surprised about how many issues can be avoided when obtaining a FHA mortgage by just asking questions. And if your Loan Officer is not providing you answers you may want to find a new Loan Officer. Also; never assume and always get the specifics of the terms in writing. There’s a general rule of thumb when it comes to mortgage rates and fees associated with doing a transaction. The lower the rate the higher the fees; or the higher the rate the lower the fees. If you’re working with a Loan Officer that is charging you the same amount of fees no matter what your rate is you may want to find a new Loan Officer. California has lots of them! Keep this in mind when buying a home in California or refinancing your current mortgage: Your loan is not closed until it actually closes. What do I mean by that? Far too often a person thinks that once the’ve been approved by the underwriter they are good to go and they head out on a spending spree. Even if all your conditions for closing are cleared there still is a lot of work that goes on until your loan is closed. So act accordingly and be patient until the loan is recorded and 100% complete before buying that new car (as an example). At JB Mortgage Capital, Inc. we offer a unique approach to customer care. From the loan application to closing you'll work with one person. This allows for a better client experience and faster closings. Low mortgage rates and great service exist at JB Mortgage Capital, Inc. We offer industry low fixed rate mortgages and adjustable rate mortgages at great terms. Closing your loan fast is essential and we understand the importance of doing this. That's why we've embraced the latest technology to ensure we exceed your expectations when it comes to closing. There is a bit more to understanding FHA home loan rates then there is non-FHA home loan rates. Why? Because FHA loans include Mortgage Insurance (more on that below) and because of that you’ll see a low FHA loan rate but a really high APR attached to it. Don’t worry it’s completely normal. “Mortgage Insurance” (aka MI) has been mentioned more than once in this article and now we’re going to go into detail about what exactly is FHA mortgage insurance. Simply put; it’s an insurance policy you pay each month that covers a lender’s losses in the event you default on your FHA loan. This is the standard formula in California as well as other states. So for a $200,000 loan amount, 30 year fixed term and a LTV of 95% or less your monthly MI cost is $133.34 per month (200,000 x 0.80% = 1,600/12 (for 12 months) = $133.34 per month). UFMIP stands for Up Front Mortgage Insurance Premium. This is the amount you pay on the origination of the new FHA home loan to FHA. It’s part of the Mortgage Insurance program mentioned above. The UFMIP is usually rolled into the loan or sometimes the interest rate is increased to cover the up front cost of UFMIP – very rarely would someone pay out of pocket to cover the cost of the UFMIP. This is for all FHA loans in California as well as every other state. If you obtained your FHA loan on or after June 3, 2013 here are your possible options for removing MI. If your original LTV was higher than 90% then you will have to pay the MI amount for the entire life of the loan. To get rid of it you’ll have to either refinance the loan or sell the property to payoff the loan. If your LTV was 90% or less you’ll have to pay mortgage insurance the entire term or 11 years (which ever is less). Generally speaking most people have to refinance to get rid of FHA Mortgage Insurance even those that originally had at least 10% equity. The reason is you probably don’t want to stay in a FHA loan for 11 years, other opportunities should open up for better terms in less than 11 years. The FHA 203(k) program (home repair) is a great way to purchase a property that needs work; and get extra money to make renovations. The unique program allows for you to receive up-to an additional $35,000 to make these repairs. Since you are borrowing more than the home is worth there is a minimum credit score you need to qualify for the FHA 203(k) loan and that is 640. This loan can be also be used for refinances as well. As mentioned previously the current (2019) FHA home loan limit in California is $314,827.00 and in high cost areas it is $726,525.00. This is a hard number and there is no way around this. If your loan amount is above this then you won’t be able to do a FHA loan. So if you’re buying a home and you want a FHA mortgage make sure you either buy a home that first the program or have enough money to put down to ensure the amount you’re borrowing is at or below the limit. Excellent question! UFMIP does not count towards your loan limit nor does it count against your Loan-To-Value ratio limit as well. This a great feature especially when buying a new home. The FHA Streamline program is fantastic and if you have an FHA loan and plan on refinancing into one this loan program is definitely for you. As you can see this is a great program and it’s only available to those who currently have a FHA loan. If you are in the market to buy a home or your looking to refinance your current home please be sure to contact us for a no-cost/no-obligation quote. We offer industry low mortgage rates, one-on-one personal service and fast closings. Most importantly; we’ll take the time to listen so that we find the right program for your specific situation. We have an A+ rating with the Better Business Bureau, we’re AAA rated with the Business Consumers Alliance and Loan Officer Kevin O’Connor has a five star rating on Zillow.com and Mortgage101.com. You can contact him directly at 1-800-550-5538 or submit a a request form on our website. In 1965 Congress passed the Department of Housing and Urban Development Act which made HUD as Cabinet level government agency.